Although there is significant progress and a beginning of awareness, gender equality in 2017 is still not a reality. 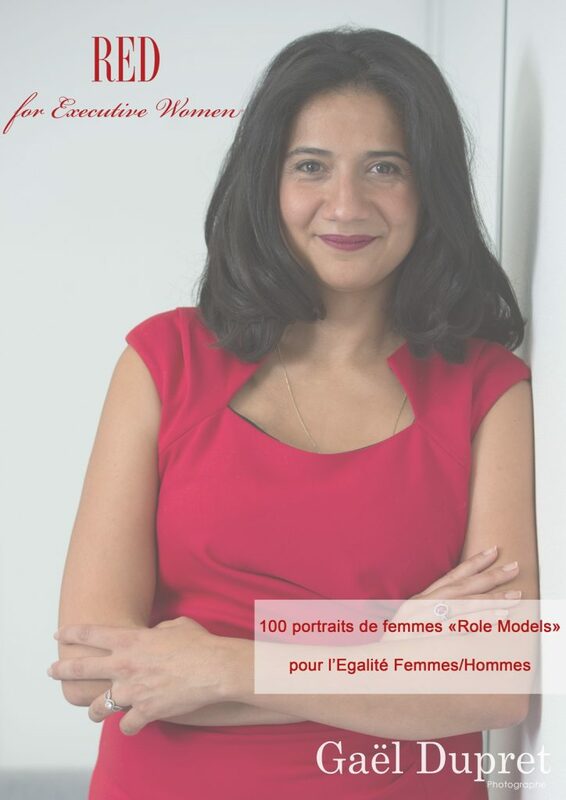 Even though many companies integrate CSR in their managerial strategy and human relations, the glass ceiling is not an image of Épinal and for many women it is a reality that they undergo. RED for Executive Women is a photographic work on these women who have succeeded by skill, work, conviction and perseverance to excel in their field and to be recognized. They occupy important, strategic positions, or even be at the COMEX or CODIR of their company, they are involved in militant associations, they work for the community … They are “Executive Women”. They are “Role Models”, sources of inspiration for all women, whether at the beginning of their career or already established. These women posed at their workplace with a common denominator: wear something red (RED). I chose the common RED denominator because red is a color that symbolizes both the forbidden, the danger and the honors. The workplace symbolizes their success in winning their place, fighting the sexist representations still imposed by our modern society. These women participate fully in the future establishment of gender equality, especially at work. This project is composed of 100 portraits of women who highlights those Executive Women who knew how to fight the glass ceiling.